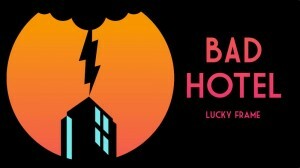 Lucky Frame (aka my awesome company) won a ‘Best Game’ BAFTA for Bad Hotel. I performed a live set on BBC Radio 3 with the BBC Concert Orchestra and Matthew Herbert at the Roundhouse. I made some custom software and hacked a harpsichord. It was super fun. Lucky Frame released Wave Trip, a music creation game, for iPad and iPhone, to much critical acclaim. You can see giant posters of it in an Apple Store near you. The Seznec Bros performed seven shows in a tour of Scotland, including trips to the Highlands and Islands. I performed Terry Riley’s “In C” at the Kölner Philharmonie with Stargaze, Matthew Herbert, and André de Ridder. As part of the ‘Matthew Herbert Quartet’ I was part of the recording of the new album “The End of Silence“, made entirely out of the sound of a bomb. This is getting released in June, and we have started playing live shows, starting in Italy, Germany, and Australia. Which reminds me, I went to Australia with Mr Herbert + co. to perform One Pig, The End of Silence, and a one-off piece called “One Room” at the Melbourne Recital Hall. Some interesting reviews here. On a similar theme, I was in the group to perform “One Day” at the Thalia Theatre in Hamburg. I spent four days in Aldeburgh and Snape as part of a Faster Than Sound residency with Peter Gregson, Pekka Kuusisto, and Reactify. I wrote a piece for Violin, Cello, and Electronics which was performed at Aldeburgh Music. Our game “Bad Hotel” was nominated for an Independent Game Festival award in San Francisco, so the whole Lucky Frame crew went out there for a week to shmooze. We didn’t win, but it was great. We’ve been working on a super fun project with Dundee Contemporary Arts, making generative data visualisations. I have been teaching at Napier University and Glasgow School of Art. I am very honored to have been selected for a PRS New Music Biennial award. I’ll be working on a new piece for Edinburgh Art Festival 2014. Finally, I’m heading to Montreal tomorrow for a couple of shows with the Herbert band at Mutek. One Pig on May 29th and The End of Silence on June 1st. So, it’s been quite an amazing first half of the year. Writing this post has been an interesting exercise for me in terms of looking back on what I’ve done. More soon! Bad Hotel is another example of what I’ve been working on over the past few years, both on my own and with Lucky Frame. 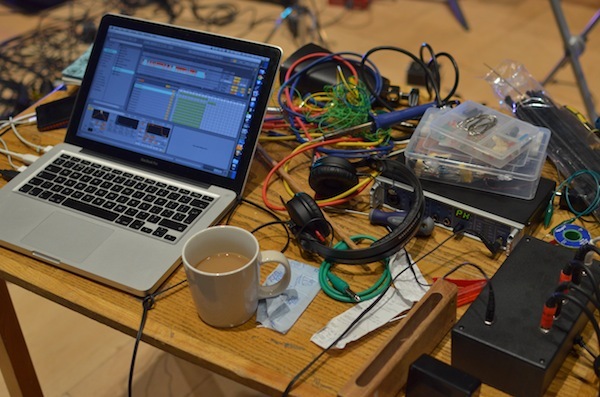 It is looking at interactions with sound, and seeing what other things can be used to expand our experiences with sound in general (and vice versa – how can music generation be enriched by other interactions?). Our extremely positive reviews resulted in a mini storm of interest on the internet, which drove sales! It was great. In the end, we’ve sold nearly 10,000 copies to date, which is wonderful. On the other hand, it’s a lot less than people think. To try and educate people and help out other small companies, I decided to be very open about our sales figures. You can read my full analysis and statistic on the Lucky Frame blog. At Lucky Frame we are currently working on our next game for iPhone and iPad, which takes a similar concept of generating music through gameplay and applies it in a different way. It’s super fun! In the mean time, be sure to pick up Bad Hotel on the iTunes store. Today my company Lucky Frame launched our follow up to Pugs Luv Beats: Pug Synth! It features the same adorable and hilarious Pug characters from Pugs Luv Beats, this time doing nothing but singing to their hearts content. In other words: it’s a super fun synthesizer and drum machine – changing their costumes and hats changes the sounds and drums. Best of all – it’s free to download! So you have no excuse. Go to iTunes and download it now. 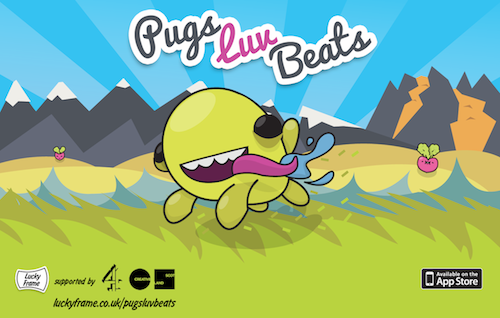 Pugs Luv Beats, a music composition game for iPhone, iPod Touch, and iPad, is now available on the App Store! Focusing on musical creativity, Pugs Luv Beats offers a refreshing change from the standard karaoke-style music games currently on the market. Instead of forcing a player to accurately recreate an existing song, the game encourages exploration and musical composition – playing the game will create original music, different for every user. In the game, the player controls an alien breed of pugs. Once the masters of a wondrous and highly advanced civilization, these pugs are the victims of their own greed. They loved nothing more than to collect beats, which they cultivated with their special brand of “luv”. But an ill-advised scheme to grow the biggest beat of all time spun wildly out of control, and their home planet was destroyed. The player must help the pugs to grow more beats so they can rediscover new planets, build houses, and recover their lost technology. Head over to the Pugs Luv Beats website to see lots of videos, screenshots, and information. Give it a download and let me know what you think! 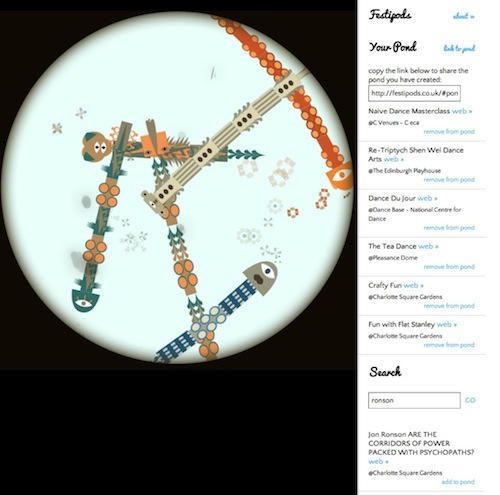 Just a quick note to say that things have been busy at Lucky Frame – today we are launching Festipods, a fun and quirky visualization of Edinburgh festivals data. In a nutshell, Festipods lets you create a petri dish full of little musical creatures that represent the events you have attended (or will attend) in the Edinburgh festivals. It was commissioned by the Edinburgh Festivals Innovation Lab, after our participation in Culture Hack Scotland. There is much more information over at the Lucky Frame website, include images of the development and the open source code of the whole project. Go check it out!